Guess most Vectrixes have been scrapped or are gathering dust somewhere..
Well I still got mine.. must be about 10 years now.. Still cruising around on the original NiMh pack! But it is getting a bit saggy now.. It will usually let me down after 15 km or so. I’m on a small island, but 15 km is really low even for here.. Thinking of changing the pack, because the rest of the bike is actually still pretty good I must say.. I know there is the vectrixparts website selling packs, but I find them rather expensive, so I was wondering if anyone did a conversion lately.. I wouldn’t be afraid to build a pack myself! I don’t need hige range really.. I’d be happy with 30 or 40 kms or so, so I hope shedding some weight actually. I’m in Greece, but I wouldn’t exclude ordering from around the world.. Isn't building a pack with Leaf cells straightforward? What resources are available for you in Greece? Or do you have to order from elsewhere in Europe? Dirk, I second that, get ahold of 18 to 20 Nissan Leaf cells and check out a few conversion videos on YouTube and you'll be back in business. Hello!... from the Isle of Colonsay (Inner Hebrides, Scotland, UK). We only have 12 miles of single-track paved road so the relatively short range of the Vectrix is simply not an issue - besides which I have another 5 EVs here to choose from! I upgraded mine to 42 x Sinopoly 40Ah LiFePO4 cells a few years ago which give it a good 50 miles of range. It has an Elithion Lite BMS which has not been ideal, frankly, and is rather unnecessarily complicated for modern, much more reliable cells - IMO. ... (20Ah, 3.2V - 178Hx28Wx71D - 0.65kg) cells for US$30 each. 42 of them would only half-fill (but very neatly with 8 rows across the width of the V's battery box and 5 - and a bit - rows long) the battery box - and leave plenty of room above for BMS etc. The pack would only weigh 25kg! This would give you the range you need (~40km) for $1260 (+BMS)! Hi thanks for your replies.. I've looked at some options..
Been looking at some youtube videos also, but I don't find one that shows what you actually need..
Nissan leaf cells seem pretty hard to find around here.. Except maybe from Vectrixparts' website but they'll cost around 150 euros per piece, so I was looking at Martin's solution also.. Seams feasible..
- BMS: I don't know much about them..
on http://www.shop.vectrixparts.com/category/batteries-bms I see some options.. what is needed/best? - Charger: I have the silver one now (don't remember now how it's called). Does one use the same charger, or do you need another one? ps: I also wanted to try something else: I actually have 2 NIMH packs (both in about the same condition). No dead cells, just getting saggy. Sure, I'd like to see some pics! Which cells did you use? If you say the vectrix can kill them.. you have them without BMS? I read a lot about Laird's and Dougas firmware and for Antiscab projects and for the Prensel's magic box but more i read i am confused wich of the firmwares works for witch type of batteries (NiMh, li-ion, Leaf and lifepo4) and which is compatible for 42s lifepo4 configuration. I would like to keep the ESD charger and i would like the batteries to work between 3.66 and 2.5 volts as this are the safe parameters on battery specs. The max charging voltage should be 3.66*42=153.74v (154). I can buy (mini 1s balancing boards that can top balance the batttery (passive balance)at 3.66 volts without turning on and off the charger but i need a master module to stop the charger and to stop when a battery goes under 2.5 volts. Which firmware for ESD charger can work for my setup and what firmware for MC and ICM can work with it. I tried to open new discussion but the forum says "You are not allowed to post new content in the forum". Please help me to find the right conficuration for my vectrix and tell me how can i open a new discussion on this forum. Sorry if i dont use the corect way to ask for help. I have been using Dugas Engineering firmware and really l like it. It is free and Dave helped me with it a couple of times when I needed advice. You can plug in the number of cells and the high and low voltages and configure the charger and Motor Controller. Should work for you. 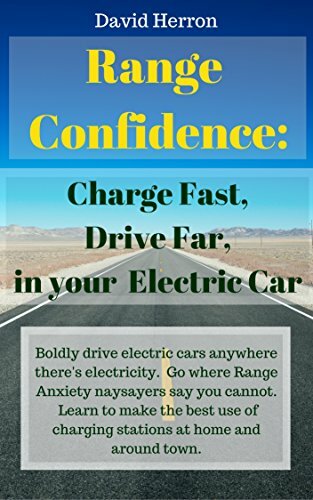 I am using the ESD charger and it has worked fine but I use a timer set to one hour for every 15 miles traveled and top it up when I am present for the final charge because it has been reported that it can sometimes not shut off as it should. I have never had this happen but don't want to burn down the building ! per charge! I am happy !! Nice Mod! beware with 32 S, efficiency drops dramatically, Try to increase to 36S. Mine is using 40S@4,15V, with TC charger. Thanks for your comment. It is pretty quiet on here for sure ! I would have preferred more cells but for economy reasons tried to get the most watt hours in the available space using stock automotive cell modules. I was running a used 36 cell Chevy Volt battery which tested to about 5K and gave me approx 50 miles in the summer mixed riding. The new 32 cell pack is about 10.6K and I get about 90 miles in mixed driving but it's only in the 40s Fahrenheit here in Portland OR at present so I expect a bit more range in the summer. I was able to achieve 70 miles at 60 mph the other day and still have enough energy for probably another 10 miles at reduced speed. In order to add more cells I would have to mount them outside the battery box somewhere which I would rather not do. The increased range has certainly added to the usefulness of the bike and I plan to add some charging capacity which will allow me to do some short touring trips this summer. Pretty good charging infrastructure here. I found a good price for 40x 60AH Li cells..
Don't know if they're good, but the price is very attractive, they quoted me 1536 USD. Just their BMS seems expensive (another 1194 USD). Anyone a better idea for the BMS?